Puppy boarding is only for puppies that people pick here and need an extra week or two. We prefer pups to go home by 9 weeks of age. For people who put in a deposit before price increase we will honour your old price for the year 2018. However if you have not chosen a pup by 2018 the above prices will apply. Payments can be made by e-transfer or PayPal. We take a non-refundable $500 deposit. This goes to the purchase price of your puppy. This guarantees a puppy to your name and puts you in a picking order based on who gave a deposit first. If there are no pups available in the litter, your place is held in priority for the next available litter of that size. We do not take names on our waiting list without a deposit. Feel free to check back for openings after a litter is born if you decide to wait on a deposit. Puppies are chosen around 6 or 7 weeks of age. Picking order comes in order of deposits on the waiting list. Have a few favourites in mind so it helps out at picking time. 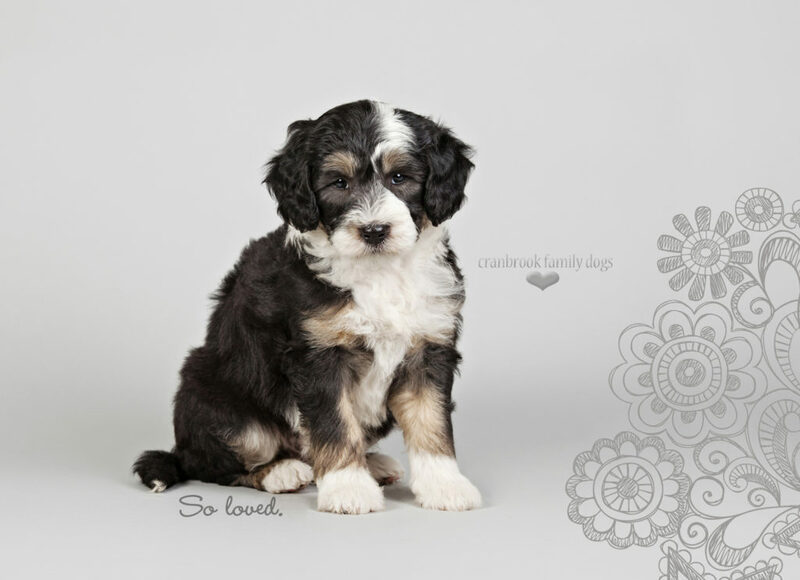 Your puppy is ready for its new home between 8 and 9 weeks of age. After 9 weeks, there is a boarding charge of $25/day or $150/week. 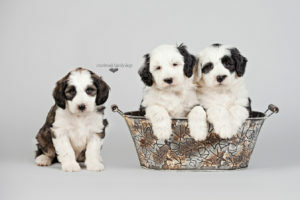 We will arrange a pick up date and time with each new puppy owner when you pick out your puppy. We also offer an additional “in home puppy training” that includes the pup started on night time and nap time crate training, some basic commands and started on going potty outside. Good manners and training tips are provided. The pup will live with the trainer’s family and start learning these things and be exposed to different people and dogs for early socialization. Ask for more info if you want a jump start to your puppy training. There is limited space in this program. It takes a lot of work for us to do this so the price is not cheap but owners who have invested are pleased with the results. Full payment must be made before the puppy goes to its new home. Our preferred payment is by e-transfer. Please make payments for pup at least 2 days prior to puppy pick up. If paying by certified cheque or cash you can bring that the day of puppy pick up. If your pup is in training, puppy purchase price is due at 8 weeks and training price is due 2 days prior to puppy pick up. If you are interested in one of our puppies, please fill out our puppy application. We will get back to you as soon as possible. We get lots of emails and also spend time with our family and pets so we can’t always get back right away. Your emails are important to us and we do try to get back within 5 business days. Be sure to tell us about yourself and what you are looking for in your future puppy. We do our best to match each puppy and owner together. We know our pups and want the best for them and for you!